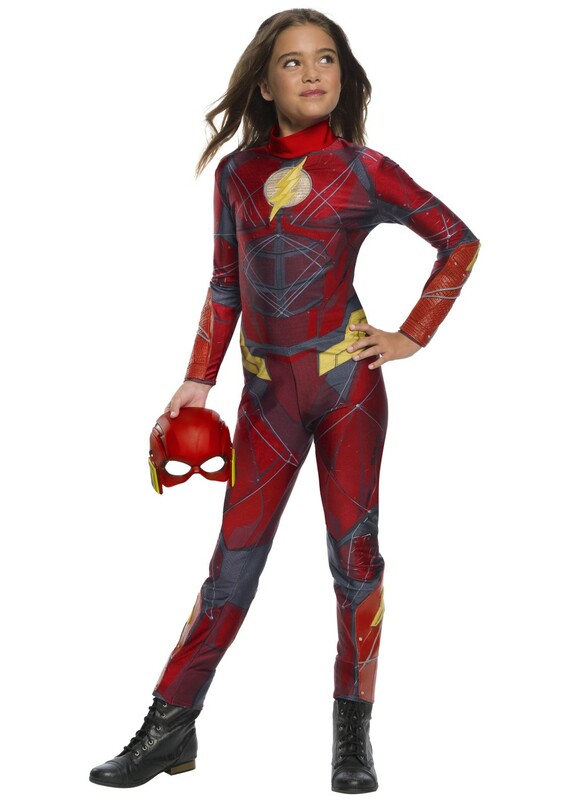 The Flash Girls Jumpsuit. Red and gold. 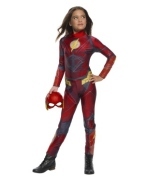 Includes mask and jumpsuit with molded chest logo, gauntlets and shin guards. Available in child sizes Small, Medium, and Large. 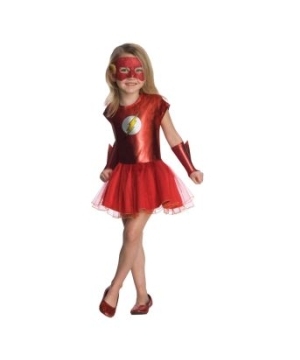 Show your girl power and be part of the Justice League with this costume! The red color and cool design with Flash logo make for a speedy looking get-up! Better catch it before it's gone! 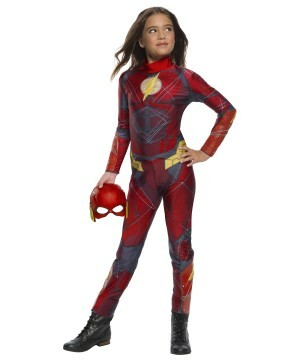 Review(s) for " The Flash Girls Jumpsuit Costume"